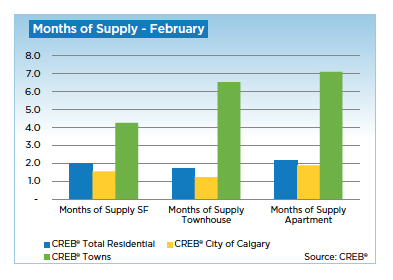 CALGARY REAL ESTATE NEWS - Sales growth for the city of Calgary slowed down a bit for the month of February when compared to the previous month, which saw double digit gains. Nonetheless, February still saw an 8.68 percent increase when compared to February 2013. In all, 1,854 units were sold during that time period. Single-family sales still totaled 1,230 units during that period, representing a 1.9 percent increase when compared to the previous year.